There are more bad news for Papa John's two days after reports emerged that founder and chairman John Schnatter used a racial slur: despite Schnatter's resignation late on Wednesday night, on Friday afternoon the franchise’s affiliation with the New York Yankees, Atlanta Falcons and Atlanta United has been suspended. "Effective today, AMB Sports & Entertainment has indefinitely suspended its affiliation with Papa John's. The divisive comments made and acknowledged by the company's founder are reprehensible and do not align with our core values. While we have enjoyed a positive relationship with the local franchisee and staff, we will be evaluating the overall relationship between Papa John's and our sports properties over the coming weeks." Separately, shortly after market close, the New York Yankees tweeted that they are suspending their relationship with Papa John’s. Schnatter has long been the face of the pizza brand, and the company acknowledged in regulatory filings its business could be harmed if Schnatter's reputation was damaged, which is precisely what happened. Papa John's got a taste of that last year, when Schnatter stepped down as CEO after blaming disappointing pizza sales on the outcry surrounding football players kneeling during the national anthem. As we reported previously, Papa John's was already trying to further publicly distance itself from Schnatter after Forbes reported he used the N-word during a conference call in May. Schnatter apologized and said he would resign as chairman. That prompted the company's stock to recover some of the losses it suffered after the report, though the shares were down slightly Friday morning. Keith Hollingsworth, a professor at Morehouse College's business department, said keeping Schnatter on marketing would be a signal to people that the company does not have a problem with his comments, or that it didn't think they were a big deal. 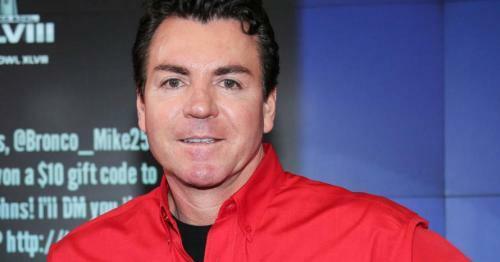 Schnatter had used the slur during a media training exercise in May, Forbes reported this week. When asked how he would distance himself from racist groups, Schnatter reportedly complained that Colonel Sanders never faced a backlash for using the word. Schnatter subsequently issued a statement acknowledging the use of "inappropriate and hurtful" language. It was not enough, and after the dramatic backlash which unless halted threatens the existence of the company, moments ago the company's new CEO Steve Ritchie issued a statement saying that "it has been decided [Schnatter] will no longer be in any of the advertising or marketing materials associated with the brand." LOUISVILLE, Ky.--(BUSINESS WIRE)--Jul. 13, 2018-- Papa John’s is not an individual. Papa John’s is a pizza company with 120,000 corporate and franchise team members around the world. Our employees represent all walks of life, and we are committed to fostering an inclusive and equitable workplace for all. Racism and any insensitive language, no matter what the context simply cannot – and will not – be tolerated at any level of our company. Will it be enough to stem the bleeding? Find out when the stock reopens for trading on Monday.